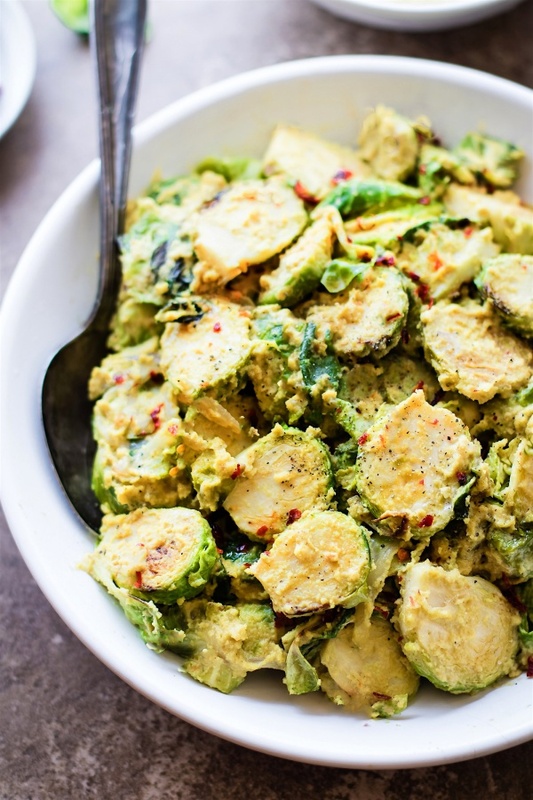 Creamy Mustard Brussels Sprouts Salad - A pan fried Brussel Sprouts superfood dish tossed in a vegan creamy mustard sauce. Quick to make, packed with fiber, healthy fats, and nourishment! A healthy paleo side dish to add to your table. Plain Cashew Cream Sauce or notes for substitutions. You will need to 1 1/4 raw cashews and 1/4 cup broth instead of milk for the cashew cream recipe to thin it out.